Recently, Twitter announced plans to revise its 140 character length. The changes come as chief executive Jack Dorsey continues to try to find ways to engage new audiences with the social network, amid a history of decline of the number of users. The most notable changes come in embedding multimedia on the platform, as the photo, video, GIF, poll or quoted tweet (a retweet with added comments from a user) will no longer be counted in the 140 characters you would have available. Additionally, when tweeting a user, the @username will also not count against the 140 characters. It is unclear as to when the changes will specifically be rolled out, but a blog post on Twitter’s corporate web site says these features would be rolled out within the next few months. In an interview with the BBC last week, Dorsey said the focus was on ensuring that when people tweet, it makes sense. The soon-to-be rolled out updates are good for journalism on the platform, as users look to Twitter to engage with journalists and news organizations, either through discussions on current issues, or to be informed about events on the go. Journalists and news organizations also can do crowd sourcing on the platform, and the changes would likely allow more context to be put into a request or verification of user generated content. Yet, the big item will come from live tweeting a story, especially a breaking news story, and how multimedia elements can help tell that story on Twitter. Journalists will be able to tell a story better on the platform with more context, alongside the photos and videos, whether its a local piece, a sports event, or a story on the forthcoming elections. These changes allow journalists, irrespective of beat, to truly have Twitter become another platform alongside conventional platforms, to expand the two-way conversation between journalist and user, and to practice accomplished and quality storytelling. While there is a ways to go before Twitter’s problems are properly solved, this is a step in the right direction, and will allow journalism to flourish on the social network. It will benefit not only the engagement strategies for news organizations, but to the people that matter most — the audience. Next week is Ethics Week here at SPJ, a time to celebrate the Code of Ethics, and to examine and consider its four principle values in journalism — to seek truth and report it, minimize harm, be accountable and transparent, and act independent. The subject for this year’s Ethics Week is best practices in new technology, including social media. Social media, most notably Twitter, has had significant influence in not just how people consume journalism, but how it can enhance the journalism that we practice. We use Twitter to curate conversations, reach out to sources, but most importantly, report, engaging audiences through 140 character messages, challenging and complementing the traditional means of storytelling. It is therefore important to consider the four principles of the SPJ Code of Ethics and how they apply to journalism by Twitter. Seek truth and report it: Twitter is another platform for your journalism, and the rules for fair, impartial reporting apply. Report what you know. If you are reporting while trying to confirm a specific piece of information, tell your audience about the report, credit the report, and say you are working to confirm it. Additionally, for curating conversations, ensure all sides of the conversation are being shared. As my SPJ colleague Lynn Walsh wrote here earlier this year, look for all sides of the conversation as you would for any other story. Most importantly, accuracy is key. It is more important to be right rather than be the first one with the story. Your audience will thank you for it. Minimize harm: When it comes to breaking news, including disasters, you should be respectful of your sources as if you were interviewing them face to face. If you are asking for an interview over Twitter, be considerate in the language you use to ask for an interview. If the source declines, move on. When interviewing, show compassion for those who have been impacted by events, and consider if the information you are being told is important to the story you’re telling. In this case, not everything you’re told is essential, so consider what is necessary to inform while balancing the privacy of a source. Be accountable and transparent: Honesty is a quintessential part of the relationship between you and your audience. As I wrote here last month, an honest reporter is a forthright reporter, and audiences appreciate forthright reporters, for they’ll trust you and come back to you for information in the future. Do not be afraid to cite — do it early and often. Identify all of the angles. If there is a mistake, own up to it and correct it. Don’t let it wait. Honesty is the best policy — and it will serve you well. You know what you know, and that is all that you know. Act independent: Disclose any conflict of interests with your audience, and if you encounter a source on Twitter that pays you for information, refuse it. As mentioned earlier, cite and identify your reports clearly and correctly, and distinguish between what is news and what is advertising. Most importantly, tell the story the way it is meant to be told, without bias or pressure to influence coverage, irrespective of beat, and reject pressure raised by advertisers, donors, organizations, or others that would impact your story. Twitter has shaped how we practice journalism today in many ways. We must be able to practice it the way it should be practiced — fairly, impartially, accurately, and ethically, no matter the platform, not just for us, but ultimately the people we work for, our audiences. Ethics Week is April 24-30. SPJ’s Ethics Committee will have blog posts on the subject over the course of the week on Code Words, the Committee’s blog. New data released Wednesday suggested some interesting conclusions about Twitter. The data, compiled by the social media analytics firm parse.ly, suggests that while Twitter has significant influence, it doesn’t help when it comes to traffic for news organizations. The data says that 1.5 percent of traffic from 200 of the firm’s clients web sites within the last two weeks came from Twitter, and the report raised questions about Twitter’s role in journalism. I disagree with the report’s findings. Twitter as a platform is more than just about linking to news. Twitter has become itself a platform for news. We use the platform to curate a conversation on issues, to help us find sources to tell stories, but most importantly, to inform. Indeed, many users flock to Twitter to catch up on the events around them, even in circumstances where they may not have time to look at an organization’s web site. The ability for them to stay on top of the news can come in the 140 character live-wire messages that is a quintessential component of the social network’s distinctiveness in the marketplace, all customized to their interests and to what they need to know to plan for what’s ahead. For them, 140 characters can tell the story. Twitter does have issues that it has to face and questions that it has to answer when it comes to future. Yet in spite of all of its faults, Twitter has become important to supporting the future of journalism, and has become just as essential of a platform to engage and inform audiences on the events of the day. In this increasingly digital age, for news organizations, it is more than just the traffic to web sites. It is how much engagement that can be done on all platforms — print, broadcast, or digital, and what can be done with that reach combined. Twitter is a part of that engagement, and has allowed journalists and news organizations the ability to practice the fundamentals of journalism — informing, educating, entertaining and enlightening. It may not be traffic to your web site, but it is traffic and engagement with you, your organization, and your journalism, something that must never be taken for granted. Social media has allowed us to do many things in journalism, from help tell a story and inform new audiences, to curate a conversation on various subjects. For WGBH, they have shown social media can do that and then some through the new program Point Taken. Point Taken, a late-night, weekly debate on a current affairs topic, presented by Carlos Watson, premiered last night on PBS and is produced by the Boston based public media station. The subject was the future of the American Dream, and at the core of the conversation was social media, utilizing the hashtag #PointTakenPBS. Yet, how social media was portrayed was different compared to most current affairs programs on television that discusses topical subjects. Tweets had appeared on screen, but also data of interaction was also present, indicating how many users were tweeting with the subject at that given time. It gave a visual complement to the discussion, allowing audiences to see a full lens of the conversation. There was also the ability to vote on whether the American Dream was dead or alive, data which was shown on Twitter, as well as the ability to use polls to gain more insight into the thoughts of viewers. After debate did ur stance on American Dream change, not change, or not change but u better understand other side? However, the prevalence of social is not exclusive to a half hour broadcast. Other platforms had been used, including Facebook for engagement and interaction, as well as Snapchat, where through a filter audience members could record their thoughts on the subject being debated. Point Taken having a platform on Snapchat is part of a number of WGBH produced programs signing on to the platform, notably the current affairs documentary program Frontline and the science documentary program Nova. At @WGBH today? Find the #PointTakenPBS Snapchat filter and tell us your opinions on this week’s topic. In addition, the first episode is available to watch again (or to view if you missed last night’s airing) on Facebook, through PBS’ fan page. The subjects will change from week to week, but one thing is for certain. WGBH and Point Taken have revolutionized how social media is used to curate a conversation, and has allowed new ways for public media as a whole to engage with younger audiences. It is a strategy that is inspired, and can go a long way in engaging new audiences and retaining current ones. Tuesday was a win-win scenario for WGBH and for this industry, allowing not just for a discussion on the future of the American Dream, but also how social media can be used to enhance and innovate journalism, making it better for those curating the content, and, most importantly, those consuming it. Twitter turned ten years old on Monday, and as the occasion was marked, a debate continued to play out. 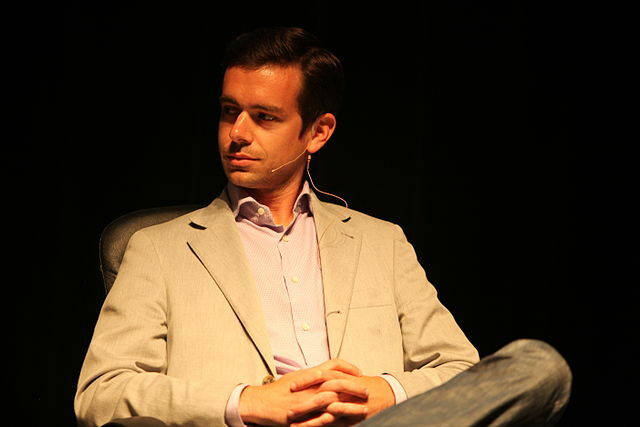 The subject at hand was how to reverse the long term decline in users to the social network, and how chief executive Jack Dorsey plans to tackle it. One item that was being considered was expanding the character limit from its signature 140 characters to 10,000 characters. That is now not going ahead. In an interview Dorsey gave to NBC’s Today Show on Friday, Dorsey ruled out the expansion. Twitter’s ability to have 140 characters has been good for the platform, as well as for journalists who use it. While it may cause common frustrations when constructing a tweet, the brevity that comes in the 140 characters can be beneficial for audience engagement, as users flock to the social network to get instant news and information, and might not be in a position to read, hear or watch something in-depth. Indeed, it may only take 140 characters to tell a story and spark a discussion on an issue, which can help journalists build a following and credibility on the platform. While there are recommended ethics and tips to consider, especially in live tweeting (something I wrote about earlier this month), 140 characters has become a quintessential part of Twitter, as well as the development of its relationship with journalism, something that journalists should embrace. Indeed, there is something that every journalist can do to make 140 character tweeting really work. Twitter, with its livewire elements, can help tell a story, but it is down to what can be offered, any bonus content or color that won’t make it onto traditional platforms, that can allow a 140 character tweet to help make your reporting stand out…something that might not have been accomplished if 10,000 characters were used. After all, users that come to Twitter seeking instant information can also get a great story, despite the brevity. So while Dorsey considers his next move to help boost user growth and engagement on Twitter, keeping 140 characters will keep its signature space in the social media marketplace, as well as give journalism a reason to flourish on the platform, now and for the next ten years. 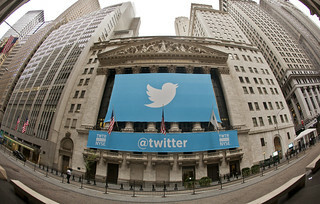 As Twitter celebrates its tenth birthday, its influence on journalism has become significant. As part of a series leading up and celebrating its tenth birthday, SPJ Digital is looking at Twitter’s influence, as well as best practices and advice. Here, Alyssa Bloechl, of the Door County Advocate in Wisconsin, considers notifications on Twitter and the culture of reporting on the platform. There are an exponential amount of ways a journalist can use Twitter in their work, be it learning about breaking news, connecting with sources or live-tweeting an event. However, a recent exchange with someone in my community got me to thinking about how the Twitter accounts of journalists can be tools for readers. Obviously, Twitter is a way to share breaking news that readers look to retweet, but I think more day-to-day tweets from journalists sharing their finished stories or reporting from an important meeting are not necessarily getting the attention they deserve. Source: “Yeah, I’m free. You want to talk about the detour? I was stunned. She has notifications for me, a person with under 600 followers and an unverified account. The Twitter snob in me thought, what worth would all of my tweets have for her? I only turn on the notifications on an account when I know a local journalist or news source is covering a breaking event and I need/want to keep up on what they are saying. Once the event is over, I turn them off. After some thought, I tried to put myself in my source’s shoes. She is the director of a local tourist organization and a well-known community member. If I were in her position, it would be to my benefit to keep up on the day-to-day tweets of a journalist, as they would typically tweet about local news and ongoing stories, which would help me in my work. She mentioned she appreciates all of my tweets when reporting at city meetings and she even mentioned a string of live tweets I had put together while in the courtroom a few days before. I have concluded that it is entirely possible that people other people may use Twitter notifications to source local journalists. As a result, I took to Twitter! Through a poll, I encouraged followers to tell me if they 1) Use notifications, 2) Do not use notifications or 3) Do not know what notifications are. I referenced this as a way they may gather the news on the social network. As a low-profile account, I got a grand total of 11 responses. 45 percent of those polled indicated they do not use notifications, 36 percent do use them and 19 percent did not know what they were. It’s not much to work with in terms of the millions that use Twitter, but I believe that margin between using notifications and not can be closed with the right marketing. If journalists took the opportunity to encourage readers and followers to turn on notifications for their tweets, I think communities will have opportunity to be more informed. That information can empower further sharing and possible social action based on what the journalist is tweeting about while on the job. I also think if journalists are also thinking about people actually reading all of their tweets and the writer is not just sending characters off into a mass of other tweets, we may become more thoughtful and responsible when tweeting for our audience. We local journalists can make a difference, encourage readership and tweet responsibly and ethically about their community’s happenings. I know I’ll be working on getting more people to turn on notifications. Alyssa Bloechl, an SPJ member, is a reporter with the Door County Advocate in Sturgeon Bay, Wisconsin. You can interact with Bloechl on Twitter here.